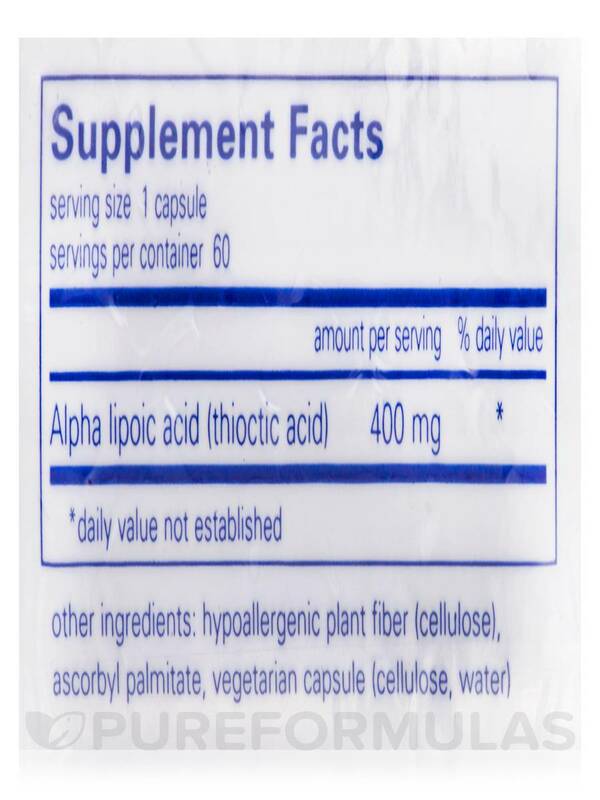 Alpha lipoic acid (ALA) is an antioxidant that works to protect your cells from free radicals that may cause harm. It also works to maintain healthy nerve cells and a functioning liver. Although it's possible for your body to produce ALA naturally‚ you may need to supplement in order for it to perform its many bodily functions at its best. The ideal supplement is both fat- and water-soluble‚ making sure that it always remains in your system. 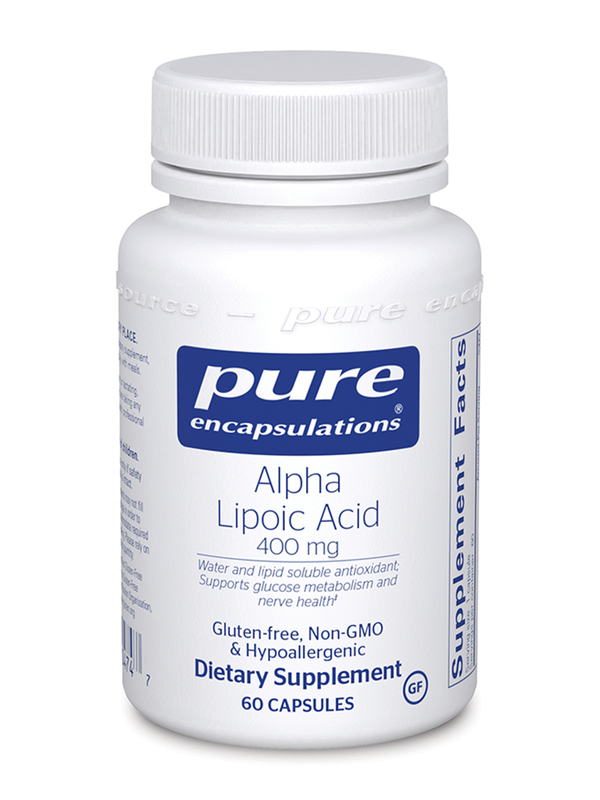 Pure Encapsulations' Alpha Lipoic Acid 400 mg can also work with your metabolism to support glucose processing‚ as well as energy production by your muscles. 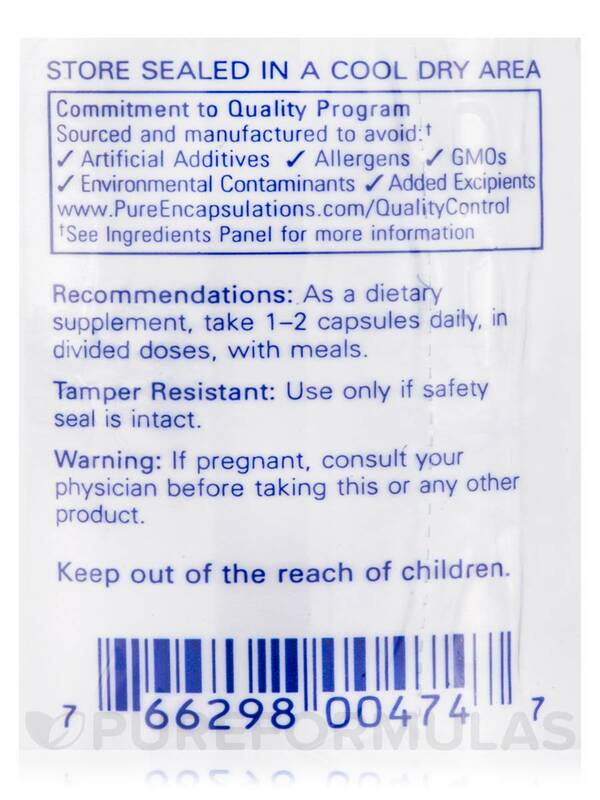 Finally‚ it promotes cardiovascular health by giving support to blood vessel and vascular functioning. In addition to 400 milligrams of alpha lipoic acid itself‚ each vegetable capsule also contains vitamin C to further promote absorption. 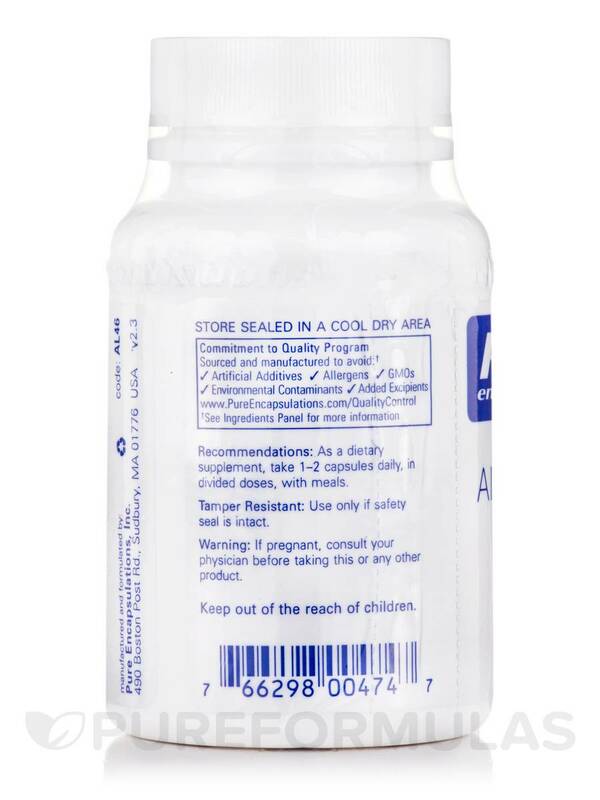 At the recommended divided dosage of one to two capsules per day with meals‚ a 60-capsule bottle of Alpha Lipoic Acid 400 mg by Pure Encapsulations should last for about one to two months. 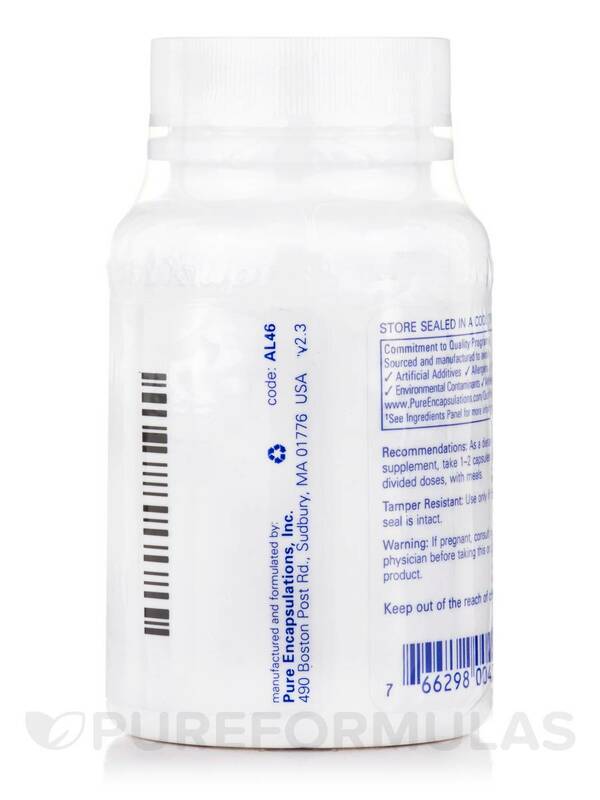 This size is perfect for those trying alpha lipoic acid for the first time.